Making the offer – You are ready to buy! When home buyers begin the house hunting process, they often don’t realize just how many steps it entails. From securing a loan to finding a property you love to negotiating the purchase, it can feel like the process will never end. Luckily, if you have made it to the offer stage, the finish line is finally within reach. Together with your Realtor® in Las Vegas, you can make a bid on your dream home and hopefully seal the deal. In order to improve your chances at getting the house, however, your offer needs to be as strong as possible. Here is a look at some things to consider as you work with your real estate agent to draw up your contract. Obviously, the element of the offer you are likely to be most concerned about is the price of the home. First-time buyers often have trouble deciding how much money to offer on a home, which is why it’s very important to work with a Las Vegas real estate agent you trust, such as The Ballen Group at Keller Williams Realty Las Vegas Summerlin. Remember that the housing market determines how much a property is worth, so your realtor will look at similar homes that have recently sold in the area in order to help you come up with a reasonable offer price. You should go into the negotiating process expecting to receive at least one counteroffer from the seller (so it’s rarely a good idea to offer top-dollar for a home right off the bat). You may also decide to make a lowball offer just to see how flexible the seller might be, but you need to be careful not to offend the seller by making an offer that they feel is way too low. The final step once you have come up with an offer you’re happy with is presenting it to the seller. Negotiations can often feel like a game of telephone as your agent communicates with the listing agent, and then the listing agent communicates with the seller. You have the right to back out of your offer for any reason up until it is accepted. If the seller comes back with a counteroffer, you also have the choice to either accept the agreement or write another counteroffer yourself. 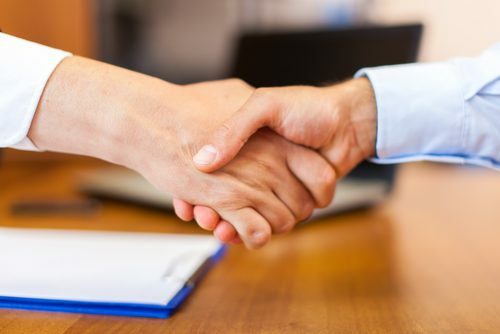 Once both parties agree on an offer, you will both be bound in a contract, and you may not be able to change your mind without losing some or all of your earnest money. When you have finally sealed the deal, the home will officially be “under contract” as you await your chosen closing date. Barring any unforeseen issues, a signed contract essentially means that you have bought yourself a house, so you can congratulate yourself on finally reaching the end of a long process. Find out more about the process of buying a home in Las Vegas now.